The iPhone XR, the lowest-priced iPhone in the three new iPhones, will be available on October 26, later than the iPhone XS and iPhone XS Max, but the iPhone XR will account for 38% of the iPhone sold in FY 2019. So iPhone XR will be more popular than iPhone XS Max, So the iPhone XR case has a bigger market prospect. 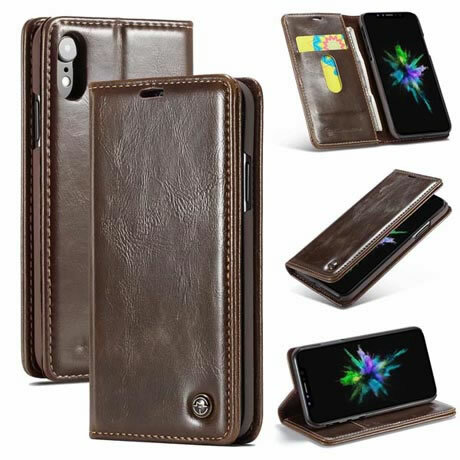 Today we recommend the most popular wallet case. CaseMe Case offers a 2-in-1 detachable solution that can be used as the active split wallet for most activities, but can be magnetically separated by external mounting or thinner options. Itself supports 14 cards slots, as well as a zip pocket. 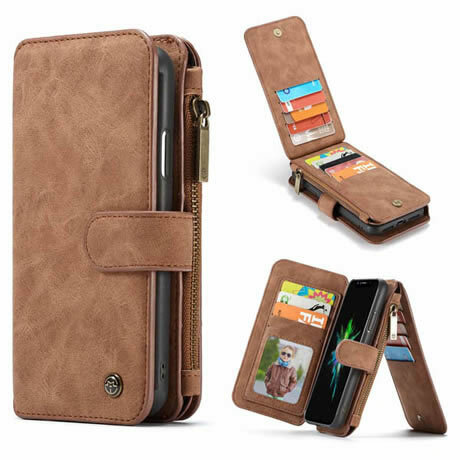 This is a slim leather wallet with a card slot and a large cash slot, RFID anti-theft protection, and wireless charging.